It takes 70 billion kilowatt hours a year to run the Internet. Any way you look at it, that’s a lot of energy. 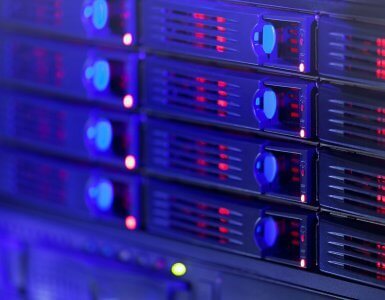 Most of the world’s websites are hosted on remote servers in huge data centers. These servers use power to run, but also generate so much heat that they need constant cooling to continue to operate. 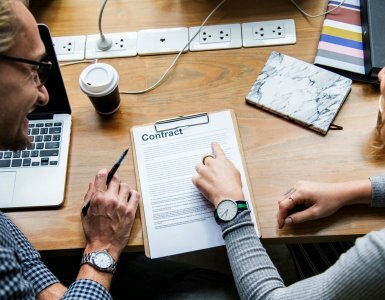 In this day and age of increased environmental concerns, more and more companies are choosing to take up environmentally-friendly policies. Whichever way you personally feel about the issue, it’s important to acknowledge that a certain portion of your followers and customers will likely care about the environment and appreciate a website that does what it can to stay green. Canada is uniquely situated to be a great place for green energy and green hosting. After all, if the costs of green hosting are no higher than those for regular hosting, why not choose the green option just because you can? Did you know that Canada is the world’s third largest producer of hydroelectricity and one of few countries to generate the majority of its electricity from hydroelectricity? What this means is there are a plethora of options for Canadian hosting providers to provide greener services. In fact two of our partners, who just happen to be some of Canada’s largest data centers, have gone above and beyond in terms of green factor. 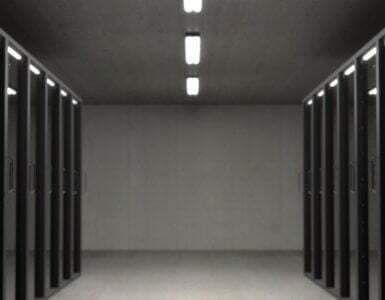 The air conditioning at PEER1’s data center is provided by the world’s largest lake-source cooling system—the Enwave Deep Lake Water Cooling (DLWC) system. The DLWC uses Lake Ontario’s icy water as a renewable energy source. Over millennia the phenomenon of denser cold water sinking to the bottom of the lake has created a permanent reservoir of cold water on the bottom of Lake Ontario. Enwave positioned three high-density polyethylene pipes along the natural slope of the lake bottom to pump water from a depth of 83 meters and transport it to the Toronto Island Filtration Plant, ultimately using it to cool its data center along with other downtown Toronto buildings. OVH’s new state-of-the-art data center in Beauharnois, Quebec is powered entirely by green energy coming from a hydro dam located less than 300 meters away. The data center’s building was designed to function without the need for air conditioning, instead using proprietary cooling technology developed in-house. All of this results in a claimed Power Usage Effectiveness of less than 1.1. By choosing CanSpace Solutions as your host, you’re helping to support these innovative Canadian businesses and also doing your part for minimizing impact on our planet. 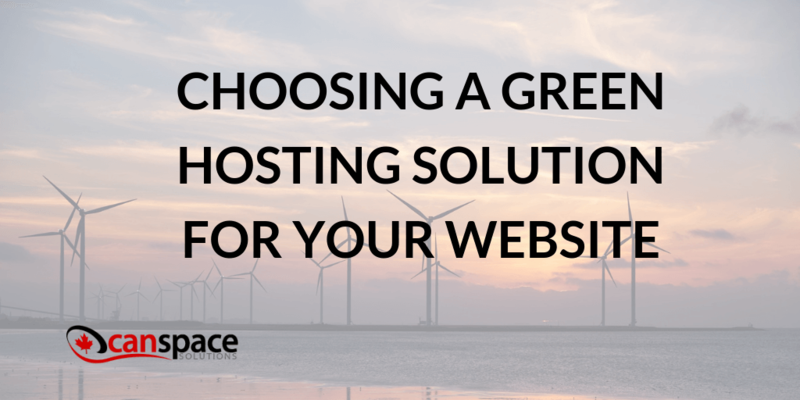 Click here to see our green hosting plan options!